Kevin is a Registered Nurse, a licensed Nursing Home Administrator and a certified Adult Residential Care Home Operator with over 12 years of experience of long term care in the State of Hawaii. Kevin has experience in the state and federal survey process for Nursing Homes, Adult Residential Care Homes, Adult Day Cares and Home Care programs. He’s held various leadership roles and was most recently the Nursing Home Administrator for a 5-star, 130-bed Long Term Care facility in Honolulu. Outside of patient care, Kevin has assisted with the expansion of a 15 to 61-bed Skilled Nursing and Rehab facility (SNF) in 2009. He then was part of the management team that conceptualized and executed the construction of a brand new building and operations of another 69-bed SNF facility in 2016. Kevin also procured with a development team over $500,000 to subsidize services in seniors’ homes. Kevin holds a dual Master’s Degree in Nursing and Business Administration, a Post Grad Entrepreneurship Certificate, and a Bachelor of Science in Nursing from University of Hawaii at Manoa. Kevin also holds a Bachelor of Science in Neurobiology, and UC Irvine 21st Century Leadership Certificate from University of California, Irvine. Kevin is the recipient of the 2018 University of Hawaii Nursing Alumni Association’s Outstanding Alumni Award and the 2016 American Healthcare Association’s Future Leader Award. 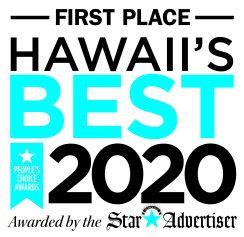 Other past accolades include the UHM Graduate Division Achievement Scholarship, Advanced Education Nursing Traineeship Award, CSF Thz Fo Farm Fund Scholarship, Rich Meiers Health Administration Fund Scholarship, Compassionate Capital Fellowship with the State of Hawaii, and Lion’s Club’s Young Lion Award.